At some point, you may have to deal with a clogged drainage system at your home. The best way to avoid issues is to give your system a thorough cleaning a couple times a year. Here are some tips on getting your system in shape. Catch Basins come in several sizes and are used for a variety of purposes. If your home has one, you could find it under a downspout to help remove excess rainwater from your roof. It’s important to make sure that these systems are working properly. First, remove the grate from the basin. Some catch basin grates have screws to hold the grate down so make sure you have the right tools on hand. Grasp the grate with your fingers and pull in an upward motion. Leaves, lawn clippings and other debris will need to be removed by hand. Once all blockages have been removed, use a garden hose to help remove any extra debris left behind. If this becomes tedious, some manufacturers provide filters that rest inside the basin until you are ready to clean it. In this case, you remove the grate as previously instructed and simply lift out the filter that now contains all of the debris. Empty the filter and return it to the catch basin. Use a garden hose to spray out any remaining particles. Homeowners usually see these types of systems around pools, patios, landscape, and garage entrances or driveways. 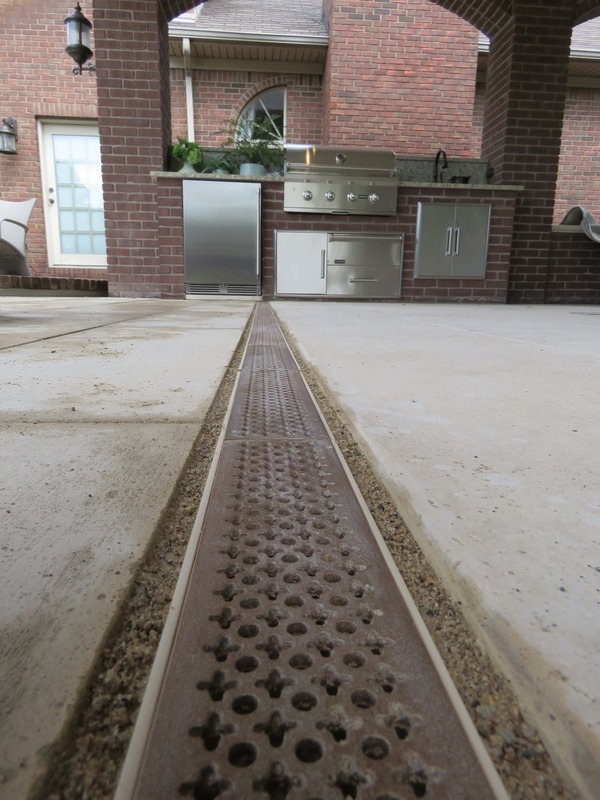 Trench drains consist of a linear channel and offer different grating options. When cleaning out a trench drain it is very similar to a catch basin. Remove the grating to be able to get to the channel. 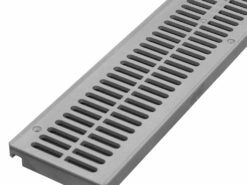 Grating in these cases are usually held on by screws for smaller systems or a locking device for larger systems. Once the grates are removed it’s time to remove the debris from the channel. For smaller systems remove grates and use your hands to remove the debris. We recommend using gloves since sticks and other sharp objects can fall into the channel. A small shovel can be used to remove debris for larger systems. Once all obstructions are removed, use a garden hose to flush out any remaining debris. It’s important to replace the grates and lock them down when finishing. Simple upkeep is all that is needed to make sure your system continues to drain properly.